Cast: Jack Campbell, Kaeng Chan, Megan Drury, Alan Dukes, Graham Harvey, Chantelle Jamieson, Craig Meneaud, TJ Power, Russell Smith and David Whitney. What happens when internationally renowned director Wayne Harrison is given license to defy preconceptions towards a play about ‘The Father of Australia’ by the daughter and custodian of its late great Australian playwright? Trouble, most likely. And lots of fun. 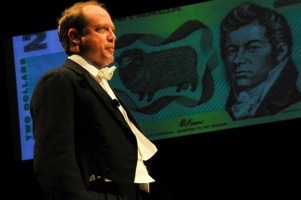 This contemporary and contentious re-imagining of Alex Buzo's award-winning classic is the flagship performing arts event for the 200th anniversary of Macquarie’s leadership in 2010. 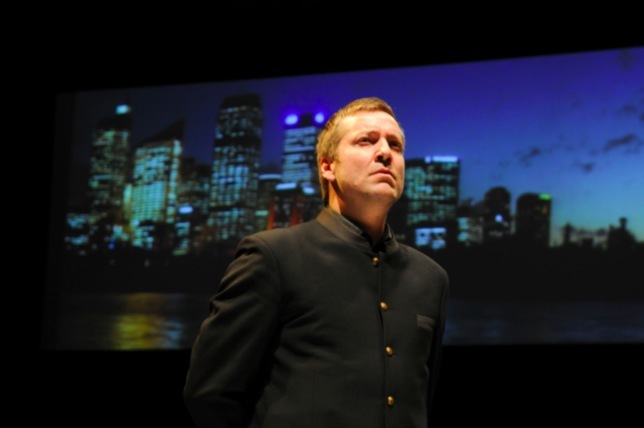 Australian playwriting’s great stylist illuminates the rise and fall of Governor Macquarie 'The Father of Australia', a remarkable man whose foresight and enlightened policies gave Sydney some of its finest buildings and whose humanitarian policies dared to give convicts 'a fair go’, transforming the colony of New South Wales from an outdoor gaol into a prosperous and free society. 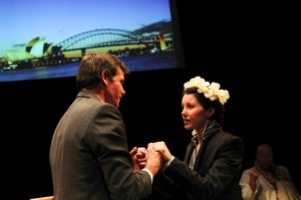 The Alex Buzo Company produced an excerpt of ‘Macquarie’ directed by Wayne Harrison also featuring Anita Hegh as Mrs Macquarie for the launch of commemorations for the Macquarie bicentenary Government House on January 31st 2010. Watch the clip below or view images from the event. Listen to ’The Power Couple of 1810’ featuring Dr Grace Karskens talking about the exciting story of Governor and Mrs Macquarie on ‘Self Improvement Wednesday’, part of Richard Glover’s program on Radio ABC 702 Sydney, March 17 2010.